There is no place like home, which is why you should always keep it safe and secure from any unwanted elements. One of these unwanted elements are pests like termites. These devastating pests can do a lot of damage to your home. This may require you to bring in termite control services to eliminate them. Despite the relative ease of calling termite control, one of the biggest problems is how to detect them, as termites are hard to spot. While it is challenging to look for termites themselves, looking for the damage that they caused is another story. 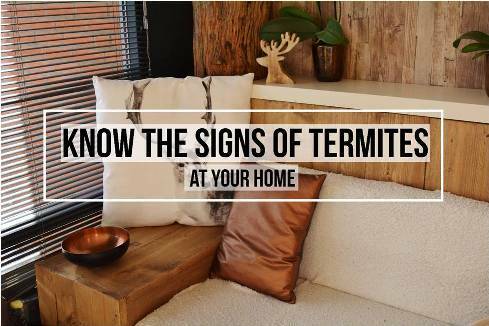 Here are the signs that you need to know if your house has a termite infestation. Before termites set up a colony and consume wood in your home, they have to fly their way first. The winged termites are called swarmers, and are young male and female termites that are looking to establish a colony. Once they have arrived to their destination, the wings would then detach from their body. 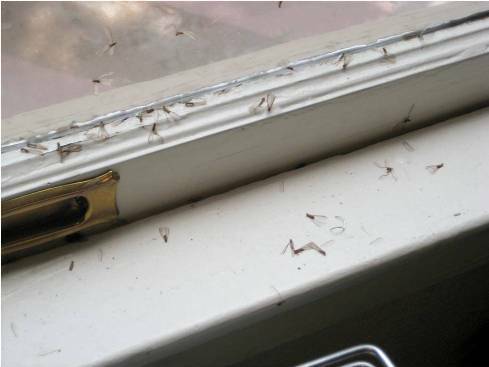 If you see any discarded wings around your home, this is the earliest sign that termites are present. Perhaps the most obvious sign of a termite infestation is seeing signs of wood damage. Termites tend to eat from the inside, which means that the damage may be hard to spot at times. 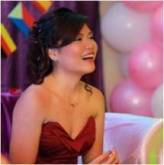 It is best to knock on the wood to check if it has become hollow. Also be on the lookout for fragmented and blistered wood. It is best to check on your wooden furniture and structures in a hurry, as damaged wooden structures and furniture can harm the people in your home. 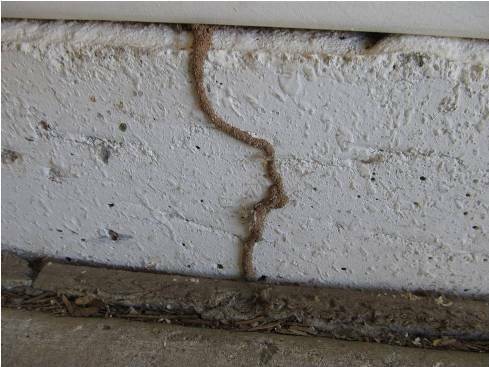 When termites establish a colony, they create pathways that allow them to go around your house. These are called mud tubes, and are created from dirt, which also provides moisture as they go around. Look for these tubes around the foundation of your home, or near the walls and the ceiling. 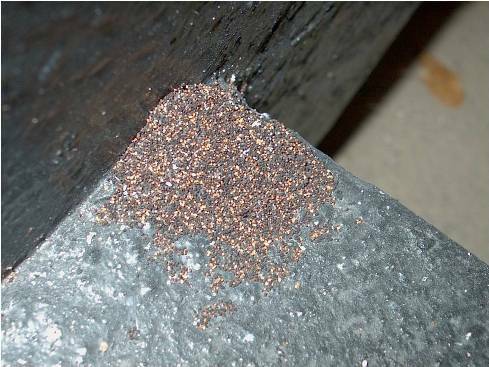 If you see something that looks like pellets inside your home, this may be a sign of termites as well. These pellets are called frass, and they are the droppings of the termites. They tend to produce these droppings after consuming wood, and is a major sign of an infestation. 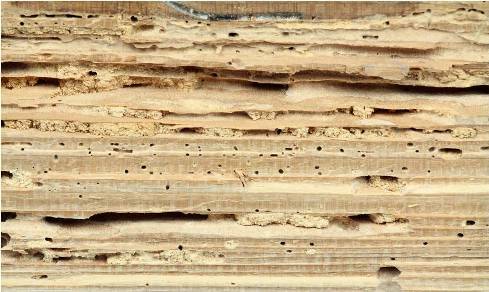 When termites consume wood, there is a chance that you might be able to hear them. The sound is produced by their mandibles, and sounds like someone tapping on your wood. 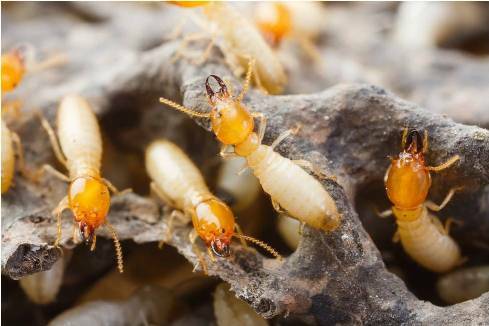 Though the sound may be small, that is the sound of termites doing some damage to your home. Once you hear this, call termite control services immediately before further damage can be done.